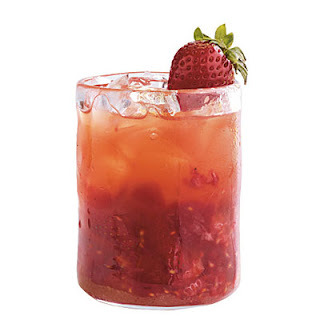 Directions: Muddle 1/4 cup fresh raspberries; 3 medium strawberries, quartered; 2 Tbsp. turbinado sugar; and 2 Tbsp. fresh orange juice in a 10-oz. glass. Fill glass with crushed ice, and top with seltzer water or club soda. Gently stir. Garnish with a fresh strawberry. **Add an ounce (or two!) of vodka or your favorite spirit to spice this drink up! Drink responsibly please.